Microbiology deals with the fascinating world of organisms which are invisible to the naked eye. The study of microbiology includes fundamental research on cell biology, ecology, phylogeny, biochemistry, physiology, host pathogen relations and clinical aspects of microorganisms related to unicellular, multicellular and acellular types like bacteria, archaea, protozoa, fungi, viruses respectively. 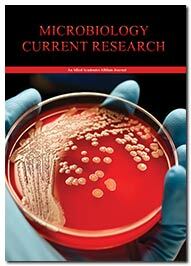 Microbiology: Current Research is an international peer-reviewed journal that publishes high quality research articles on microbiological research across the world. Microbiology: Current Research is a scientific open access journal that deals with the ongoing research in the field of basic and applied microbiology. The journal encompasses the study related to virology, mycology, bacteriology, parasitology, genomics, host immune responses, characterization and evolution of microbes, virulence determinants, environmental microbiology, antibiotic resistance and production, drug and vaccine targets, prion diseases, cellular aspects of microbes, host pathogen relations and many other disciplines. Researchers can submit manuscripts on various related themes, including medical microbiology, microbial biotechnology, food microbiology, agriculture microbiology and environmental microbiology. Articles with recent research output that can aid to the progress of the subject are most welcome.